Earth Day is celebrated in the spirit as it's intended-to observe and appreciate the wonderment of our exquisite ecosystem. Well, Disney Nature has astutely made its notable tribute to our planet’s environmental cause courtesy of its affectionate nature documentary Chimpanzee, a gloriously quaint and affecting family-friendly movie that shines a touching spotlight on primates both in playful and periled predicaments. Beautifully shot with captivating footage, a mesmerizing and picturesque tropical location and of course an adorable star worth going bananas over…namely our scene stealer baby-faced Oscar the chimp. Filmmakers Alastair Fothergill and Mark Linfield (“Earth”) concoct a canopy of visual vibrancy that radiates in this adventurous nature exposition. Both youngsters and grown-ups alike will marvel at the scenic landscape that's the Tai rainforest of the Ivy Coast. The wild chimpanzees are an intriguing spectacle as a species. One can definitely develop their inner Jane Goodall tendencies when checking out Chimpanzee as a meditation in finding heart-warming and heart-breaking impulses regarding these amazing creatures. The tranquility and treachery is equally compelling as the skilful primates are featured at the mercy of their challenging surroundings. 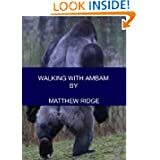 As narrated by television veteran/comedian Tim Allen (from TV’s “Last Man Standing”), Chimpanzee follows the exploits of cute and cuddly Oscar as well as a selected troop of chimpsBest known of the non-human primates. Structurally similar to gorillas, but ecological adaptations differ. They are mostly terrestrial knuckle walkers, but also can brachiate in trees. May walk bipedally for sort distances. Chimps are highly excitable, active and noisy. ...iupui.edu/~mstd/a103/primate%20lecture%202.html living within the rainforest’s dense trees. Isha, Oscar’s mother, oversees her impish offspring as he explores his region with an abundance of curiosity and learning. Oscar is just as engaging and precious as a human toddler whose need for love, attention and guidance is essential as it plays a major role in shaping his existence. In addition to the mother-son tandem of Isha and Oscar, we're introduced to another tree-climbing cohort named Freddy. As a somewhat clumsy way of producing tension in an otherwise innocuous showcase of these pesky primates, we're subjected to another group of trouble-making chimpanzees-led by the menacing Scar (no doubt an intentional reference to Disney’s iconic protagonist in The Lion King) and his monkey business minions. They look to make trouble for Freddy and Oscar when they innocently travel in their marked territory looking for food. The depth of Chimpanzee probably isn't anything special beyond a nature program one might see on PBS or the Animal Planet channel for that matter. 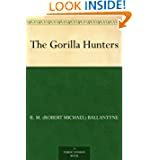 Plus, the filmmaking duo of Fothergill and Linfield miss a golden opportunity to serve up the statistical realities of the carefree chimpsChimpanzee, sometimes colloquially chimp, is the common name for the two extant species of ape in the genus Pan. ...en.wikipedia.org/wiki/Chimps they creatively aim their cameras at so enthusiastically. For instance, why not include alarming tidbits about how endangered the chimpanzee population is nowadays? Additionally, how does human interference play a factor and alter the livelihood of these imperiled chimps(CHIMP (Commission for Health Improvement)) A national body to support and oversee the quality of clinical governance and of clinical services, the Commission will visit all trusts in a rolling review programme to ensure that robust clinical governance arrangements are in place locally and that ...camdencen.org.uk/jargonbuster.htm within their habitat? Maybe Chimpanzee wasn't meant to be deep on a level of expectation as their televised nature documentary counterparts? Nevertheless, this narrative is robustly photographed and has a sincere reverence for showing us the anthropomorphizing of these resilient rascals long identified as being our “genetic”. Cousins. Thankfully, the advanced filmmaking technology allows the moviegoer more flexibility in getting intimate with arousing nature-oriented entertainment. Thus, one can revel in the charismatic scope of Chimpanzee beyond its embedded sentimentality. Hopefully other family-oriented fodder can be as uplifting and aesthetically layered as the gently gripping Chimpanzee. 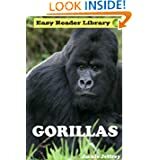 The genre of highlighting the some of the Earth’s most unforgettable inhabitants can be such a stimulating and educational rush to the viewer that cares about the boundaries of their mysterious planet’s playground. And if the expressive eyes of baby Oscar doesn't bring an instant grin to your face or a spontaneous tear to your eye then someone is definitely monkeying around with your vacant heart.